I love using recycled materials to make something beautiful and useful. It’s not everyday that recycling can be fashioned into something that is actually gorgeous and useful for the home! 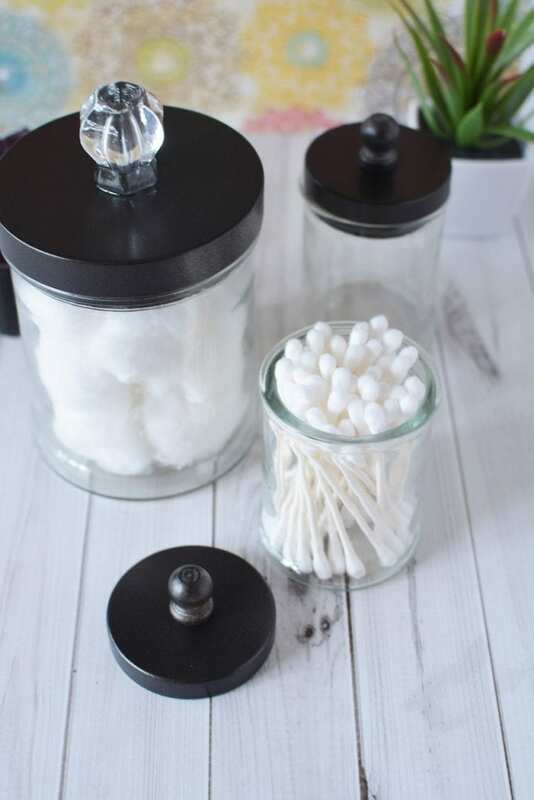 These repurposed candle jars are now calling the bathroom counter their home. 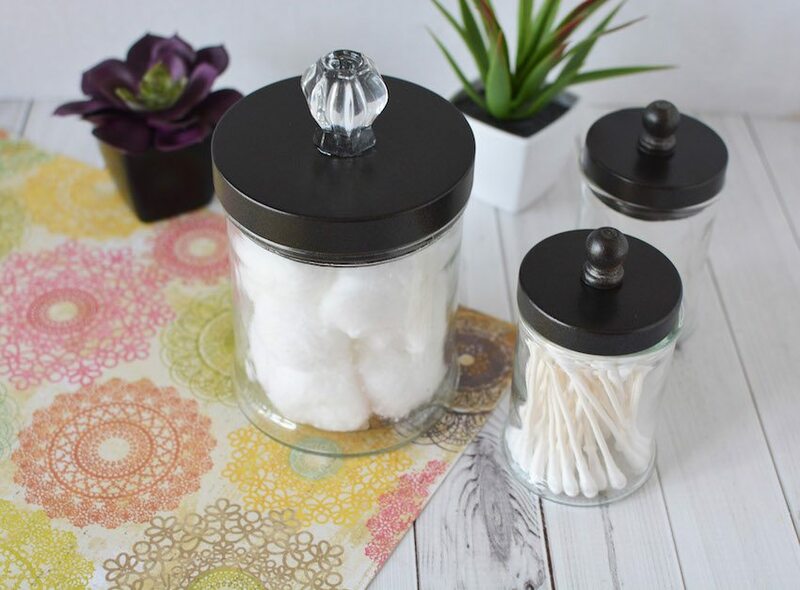 You can make a set for your bathroom, office, or kitchen with repurposed candle jars as well. With just a few simple steps and some crafting, you will be on your way to a fun and beautiful new dećor piece. 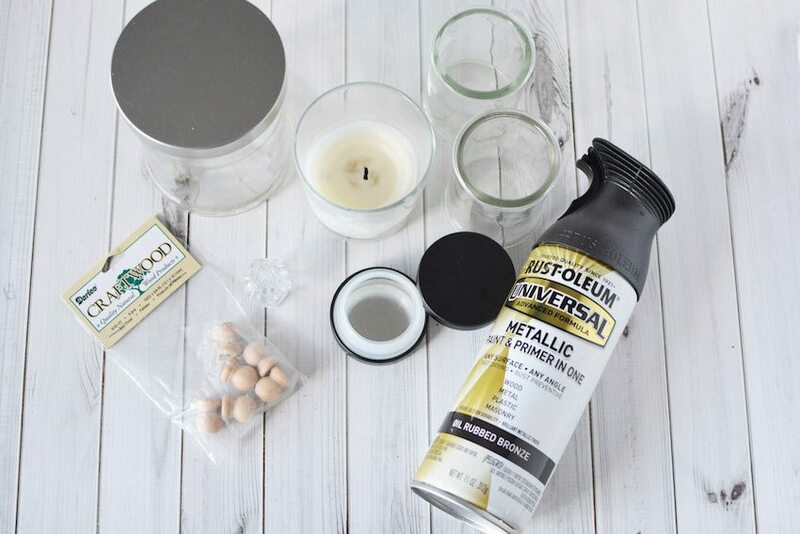 These repurposed candle jars take almost no time to make, you can fill them with bathroom, desk, or gift items and put them back to work in your home. I love that this means there is one less item leaving our home and headed for a landfill. As it gets harder to find places to accept glass for recycling, projects like this are perfect for making use of those materials in unlikely ways! Sometimes the most time consuming part of this project is the jars and labels. Once your candle is burned down, use a fork or knife to scrape out the wick as it usually has metal on it. An easy way to get them out is to boil some water and dump inside. 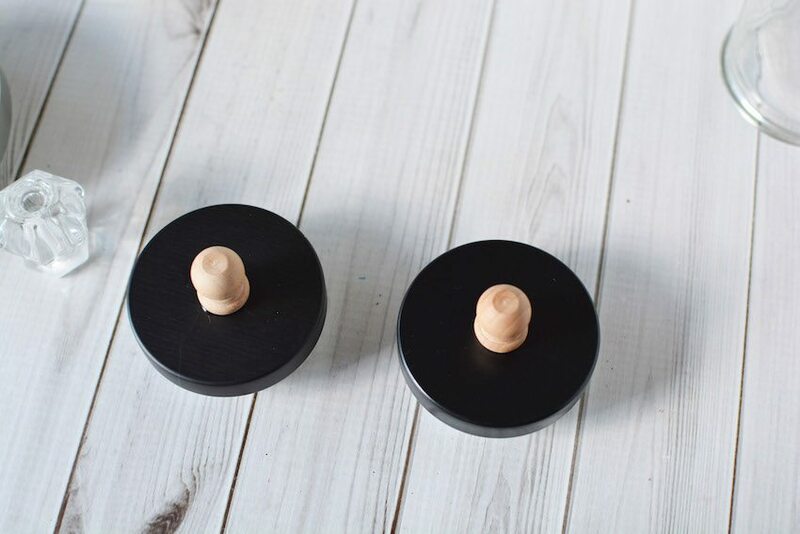 Use a paper towel to absorb the remaining wax from the top and the rest can be dumped out. This will help loosen the wick as well. Peel off any labels as best as you can, as some of them contain foil and cannot be microwaved. 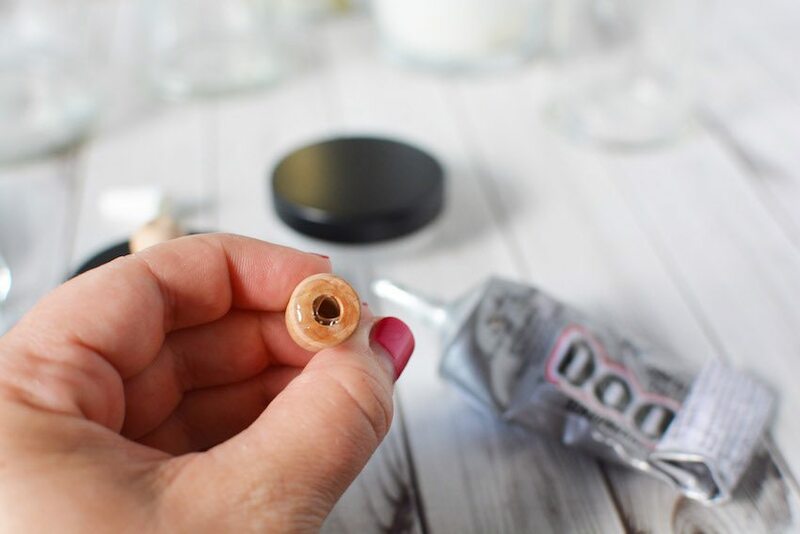 The hot water trick will work to help loosen the adhesive on the labels as well which should make them easier to remove! 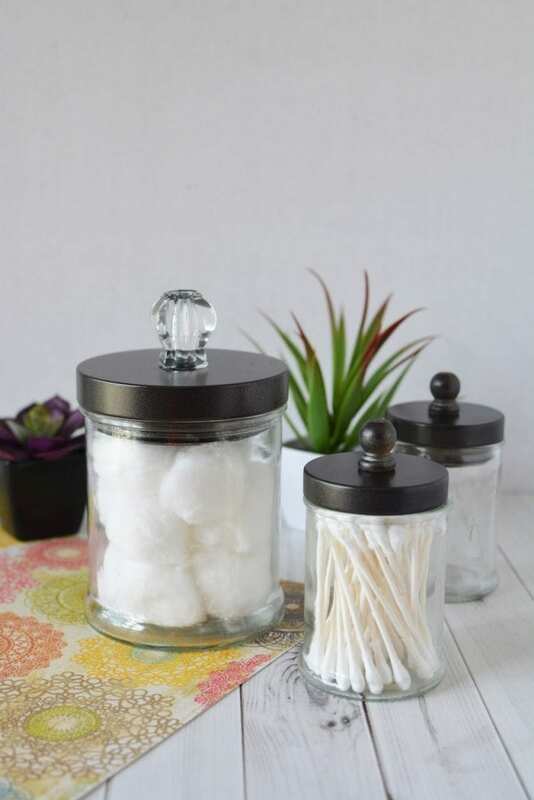 Use rubbing alcohol or soap and water to remove the labels from your jars. 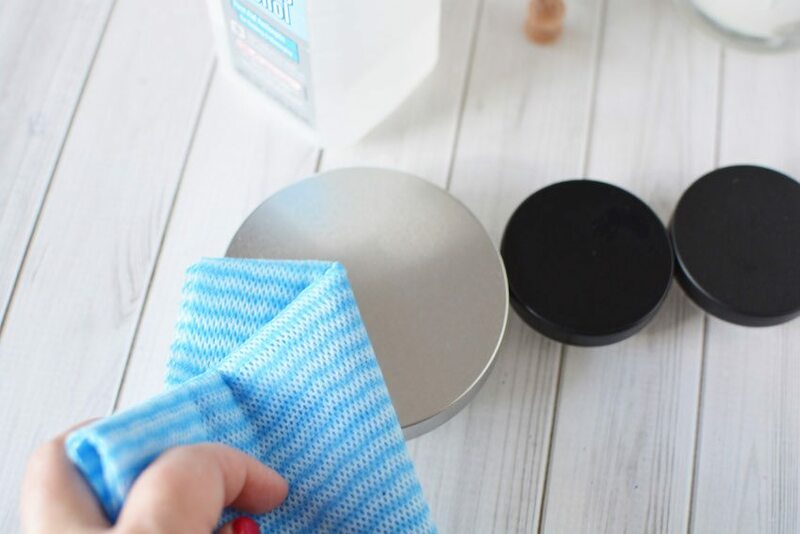 Once your wax is removed and your jars are clean, wipe the lids with rubbing alcohol. 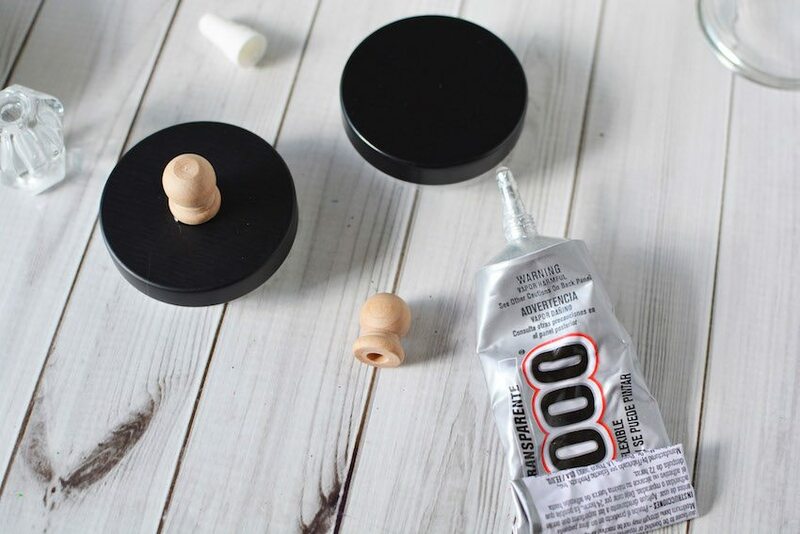 If using a wood knob, attach it to the lid using the E6000 glue. Let dry overnight. Spray the lid with several coats of spray paint, letting it dry completely in between coats. 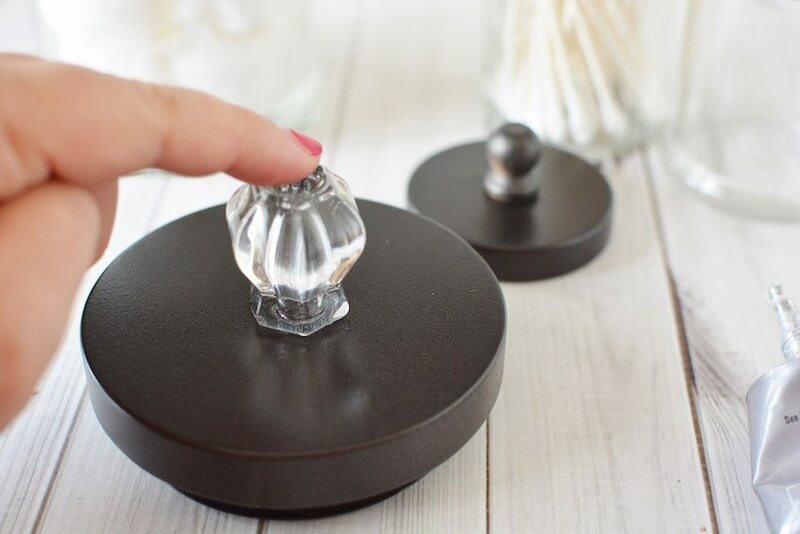 Add glass or crystal knob to painted lid with E6000 glue. Let set overnight to dry before using your jars.